Okay everyone, say it with me now: Huynh. Who…In. Whin. Huynh. Make sense? Despite my embarrassing failed attempts at pronouncing seemingly simple names correctly - which I swear I get from my mother who cannot pronounce "quinoa" to save her life - I can honestly say that Huynh is one of my favorite places to dine in Houston. My first trip to Huynh was in April, when the bf and I had just moved back into town. My parents kept telling us we had to go, so go we did! Crispy Spring Rolls as appetizer (Lenny, what number is that?). Also the beef tenderloin chunks are great as well as the phoenix chicken and the beef shortribs. Then my dad sent me a recipe for McDonald's burger seasoning. But I digress. I took their recommendations, and everything was amazing. AMAZING! So I went again with my Dad last night. I know I should be trying new things, but gosh darnit, I just can't stay away. Oh, and did I mention it's BYOB? Yeah. That's a thing. 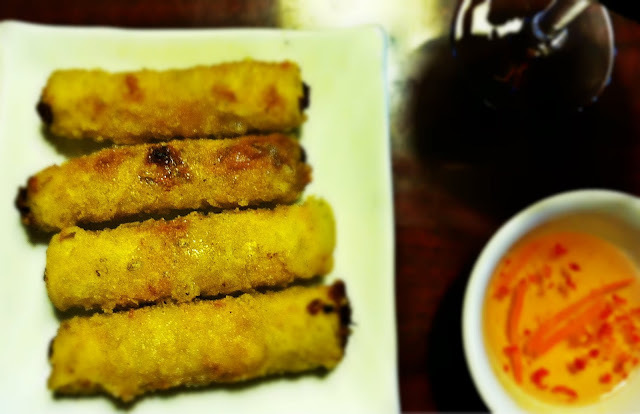 Last night we got two orders of the Vietnamese egg rolls as an appetizer. WOW. I mean, WOWOWOWOW. It was an explosion of egg roll-y goodness in my mouth. Just wow. I can't. I ordered the chargrilled pork over noodles as my entree, and my pops had the medium spicy coconut curry chicken. Both were out of this world. 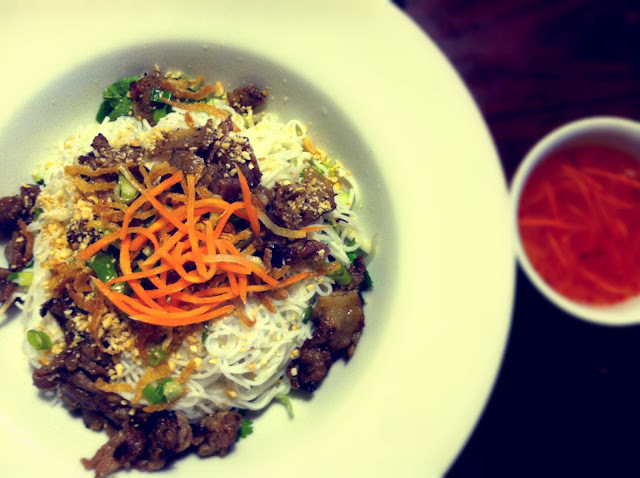 If you're looking for something lighter, I recommend the chargrilled pork over noodles. For a heartier dish, go with the coconut curry chicken. And feel really cool about ordering a super secret item that's not on the menu. A super secret item that is amazing. So amazing that after I finished my entire "light" meal, I finished off my dad's. That was clearly a joke. How could I finish ALL OF MY PLATE, then eat THE REST of a plate that couldn't be finished by a man who is 6'1"? Diiiiiiid I mention it's BYOB? <~~~~(See what I did there? That's called a "diversion tactic"). 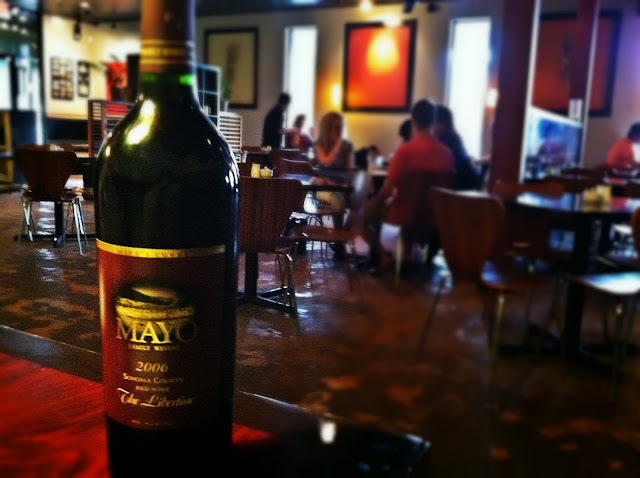 In addition to the phenomenal food, the service is outstanding. As cheesy as it sounds, the staff there treats you like family. The waitstaff is incredibly friendly and attentive, and if you ask for the (super sweet) owner Annie, she'll come out and chat with you for a few minutes if she's there. Overall, it's such an enjoyable dining experience. My only critique would be that the food came out almost too fast. The second we'd finished our (ridiculously amazing) appetizers, our entrees were out. Which is better than the alternative, but I do enjoy a good leisurely dining experience. Except when I'm at Chili's. Put that mushroom swiss burger in my mouth NOW. But the food-coming-out-too-quickly thing is seriously very nitpick-y. I can't say enough how much I love this place. And it's super inexpensive to boot! Our meal of 2 appetizers, 2 entrees, and a corking fee of $4 came out to $36. 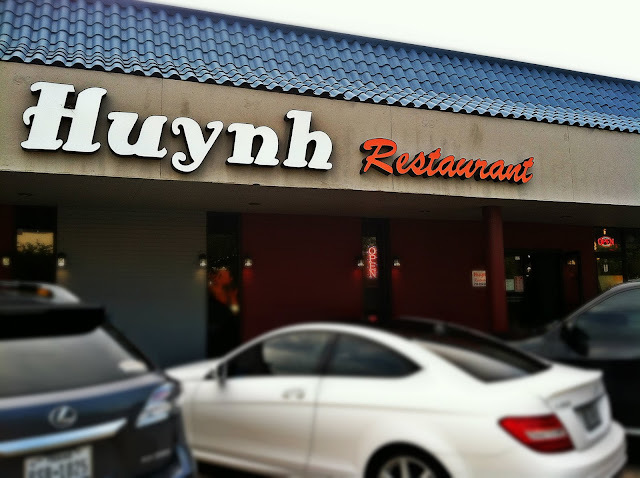 Located downtown across from Warehouse Live, Huynh is a definite Houston go-to spot! All Aboard the Underbelly Train!